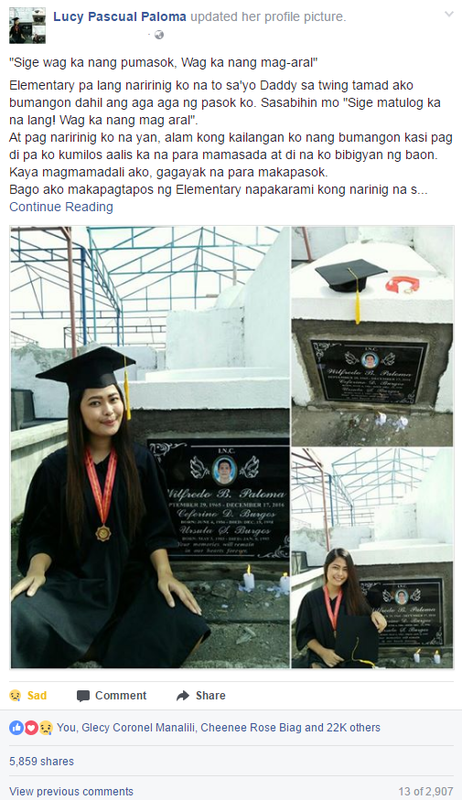 A netizen proudly shared on Facebook the achievement of her youngest, adopted brother, who is graduating from elementary school, despite having low grades and a general learning disability. PC Pau shared Wayne’s photo in his boy scouts uniform and a picture of his report card, while disclosing online the trials and tribulations of her adopted brother, whose biological mother died of lupus; whereas his biological father left him and now has a new family of his own. “At one point, as a family, we decided that kahit mag repeat nalang siya ng grade 6. He would also agree and accept that. He would always tell us ‘okay lang naman mag repeat ako pag di ako pumasa.’ One day, after school, he came running home, excitedly shouting ‘mama, gagraduate daw ako!’ he sat down between me and our mama and he continued with ‘ate, totoo pala ang birthday wish kasi ang wish ko sana maka graduate ako tapos nagkatotoo,’” wrote the original poster. Said kid is 12 years old and has a hard time reading, writing, and speaking. He could not construct sentences well and only started learning how to read syllables and memorizing the alphabet while in Grade 6. In comparison to other children of his age, he is small, likes to play games that 4 or 5 year old children enjoy, and could not keep still. PC Pau admitted that they do not actually know what her adopted brother’s condition is. “We tried a lot of times, especially when his mother died but every time we would try to teach him how to read or try to familiarize him with the alphabet, he would always cry in front of his notebooks or study materials. He managed to pass the 1st to the 5th grade in elementary with a general average ranging from 76 – 78. An 80 in his card would make us really proud,” added the netizen. They also were not aware if the boy had any assignments and would only come to know of it when his classmates would pass by their house to tell their family instructions on what happened in school and what their home works were. 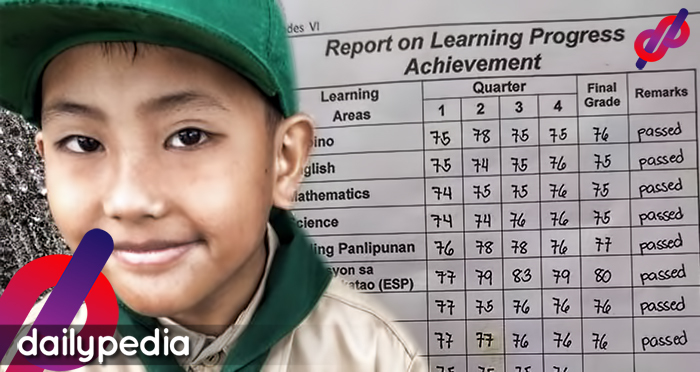 Presently, PC Pau’s brother still has a hard time constructing stories and relaying messages but he managed to graduate in elementary last April 1, with a general average of 76. “Many people might question ‘why was he allowed to graduate with that kind of average?’ or ‘he is barely able to read and write, how did he pass?’ The thing is, he tried and kept trying. He tried to focus, but the urge to play is stronger. He tried to listen, but there are things that he is more interested in doing. He tried explaining, but he did not know how to,” related the concerned sister. Wayne grew up with PC Pau’s family, who were really tight knit with the boy’s biological parents before. She also shared that their family never scolded the boy and never made him feel like he was inadequate. “Behind those almost failing grades, behind those unexplained explanations, were dreams and a great character,” she said. PC Pau also attested to the boy’s good character by using his allowance of 20 pesos to buy their mother coffee or his nephews biscuit. The meager change that would be left to him will be saved in an improvised coin bank and he would sacrifice his savings if he felt that his adoptive family would not be able to buy rice or viands. “Grades will never define him. He may have low grades, but he has a great character, an attitude that we will never exchange for anything. He can’t explain himself clearly with words, but his actions speak for him. We love him no matter how low or high his grades will be. We love him for being him… We are proud of you, what you are now and what you will become. Continue following your dreams. Mama Alma is always watching over you. We love you so much,” affectionately expressed the netizen. Netizens who read the story admired Wayne’s perseverance and congratulated him on his feat. PC Pau’s post has now gone viral receiving over 101 thousand reactions and 29 thousand shares online. 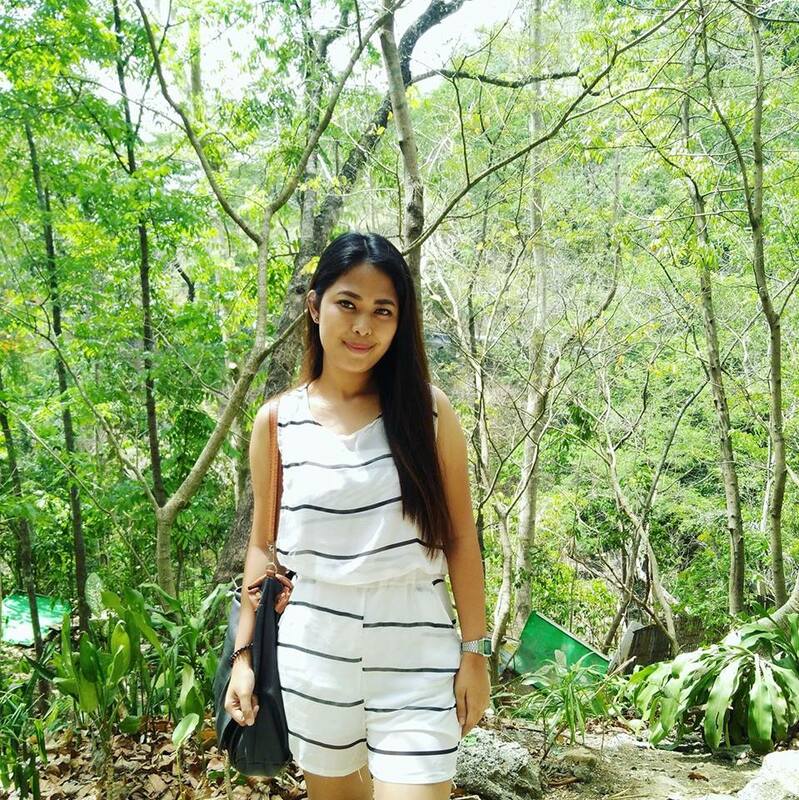 For years, Wynona Pauline Catapang endured judgements from others who perceived her as too ambitious. 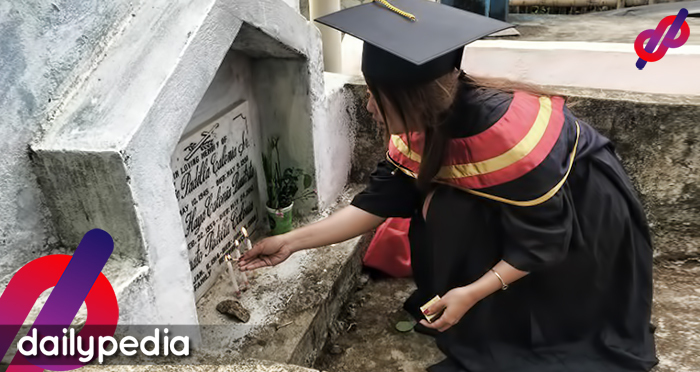 Through hard work and dedication, the student once labeled as “ambisyosa” earned three degress in just five years. 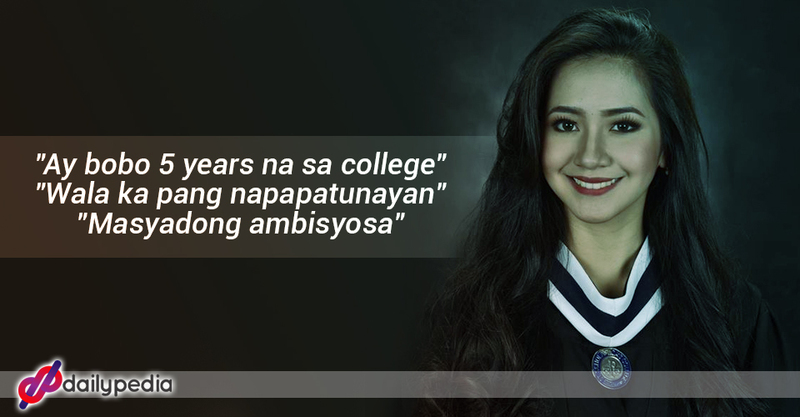 MANILA, Philippines-A student once labeled as “ambisyosa” has proven her detractors wrong by earning multiple degrees in just five years. 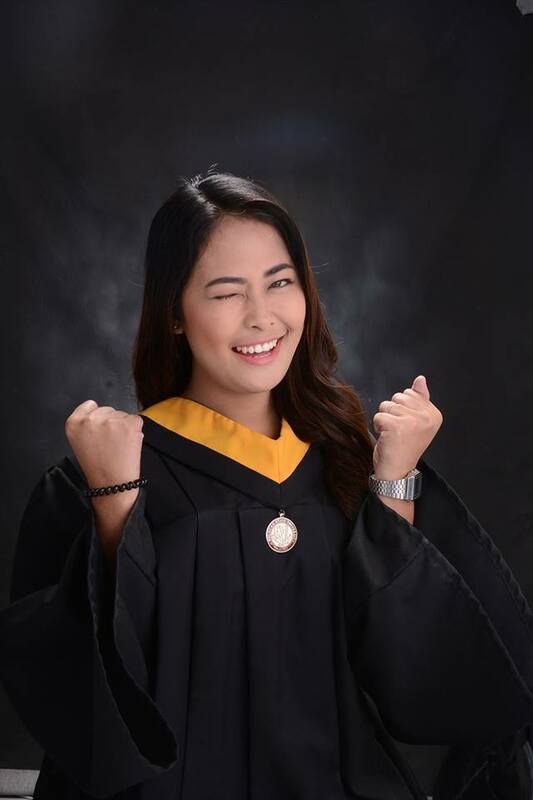 Wynona Pauline Catapang recently received her degrees in Bachelor of Arts in Mass Communication minor in Development Communication, Bachelor of Science in Psychology, as well as Bachelor of Arts in Guidance and Counseling under the 5-year LIA program of St. Scholastica’s College. For years, Catapang endured judgements from others who perceived her as too ambitious. 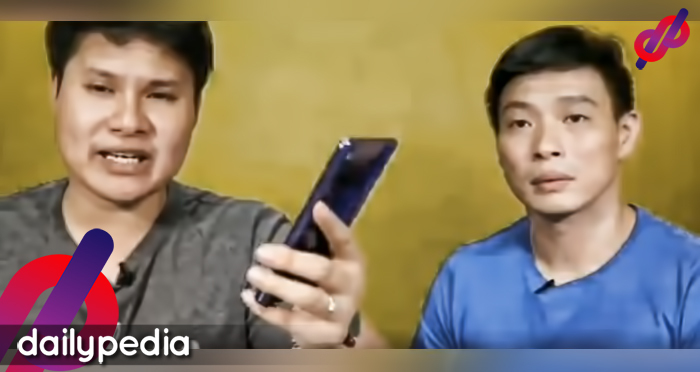 Through the years, Catapang received comments like “Ay bobo 5 years na sa college”, “Wala ka pang napapatunayan” and “Masyadong ambisyosa”. Despite years of “hardships, stress, and tears”, Catapang managed to achieve such feat at 21 years old. Normally, a single degree takes about four to five years to be earned. 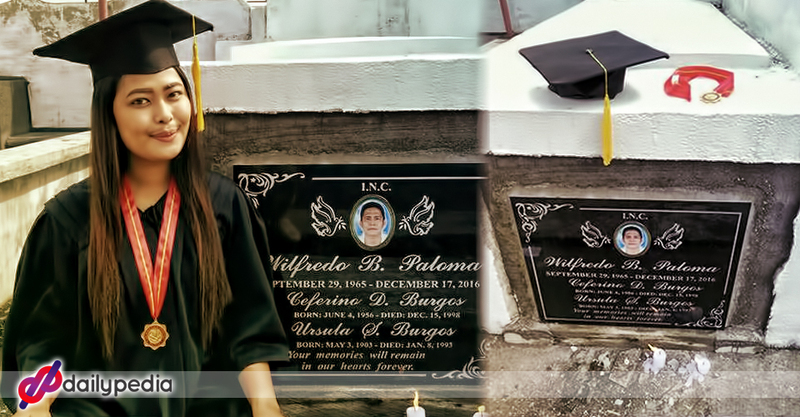 “Kahit sabi ng iba wala pa kong napapatunayan sa mundo, na ambisyosa ako, I believe this would have been my greatest achievement in life as of now- to receive 3 degrees at the age of 21. And our secret? Diskarte. Haha,” Catapang wrote in her post. Check out her inspiring post below. 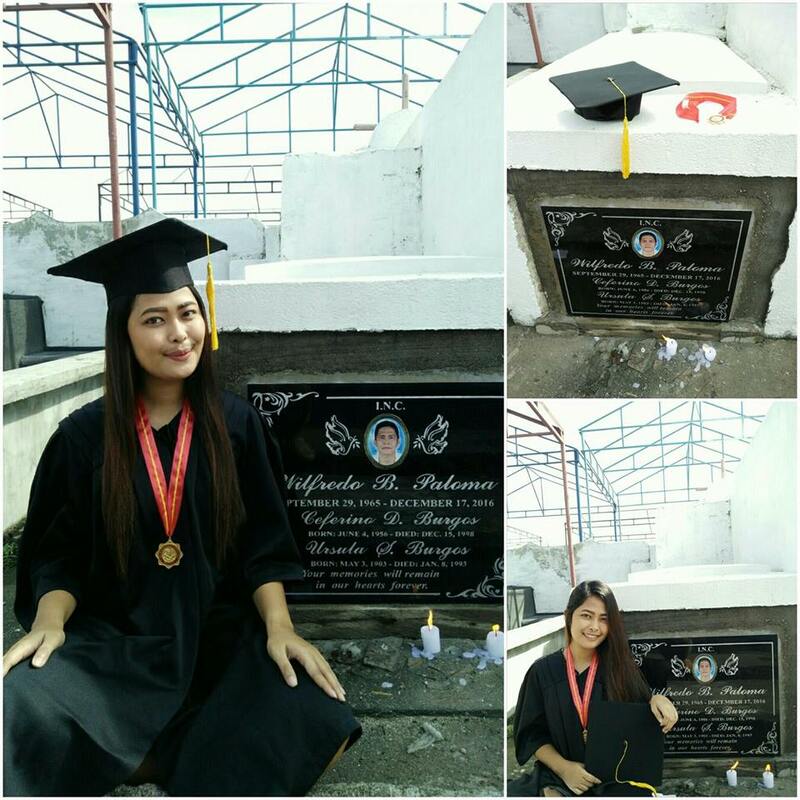 A female Facebook user named Lucy Pascual Paloma shared the story of her family on her personal account. She shared how from being a strict father, he dad suddenly supported her in everything he wanted to do until the day of his death. Unfortunately, her father died of Chronic Kidney Disease last year, few days before Christmas. Parents are the ones who build the character of their children. What they do or say greatly influences their kids as it is what children think is right since it came from their role models. Although not all dads are able to closely watch how their children grow due to their jobs, there are still a lot of fathers who make sure to make time to see what kind of person their kid grows into. 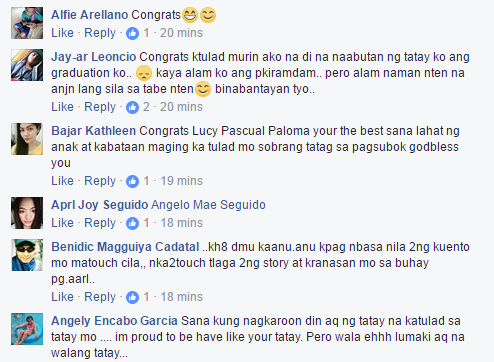 One of the luckiest children who were able to be supervised by their parent is Lucy Pascual Paloma. At first, her father didn’t approve her decision whenever she tries to join some sort of a contest. In layman’s terms, she was often discouraged. Elementary pa lang naririnig ko na to sa’yo Daddy sa twing tamad ako bumangon dahil ang aga aga ng pasok ko. Sasabihin mo “Sige matulog ka na lang! Wag ka nang mag aral”. At pag naririnig ko na yan, alam kong kailangan ko nang bumangon kasi pag di pa ko kumilos aalis ka na para mamasada at di na ko bibigyan ng baon. Kaya magmamadali ako, gagayak na para makapasok. 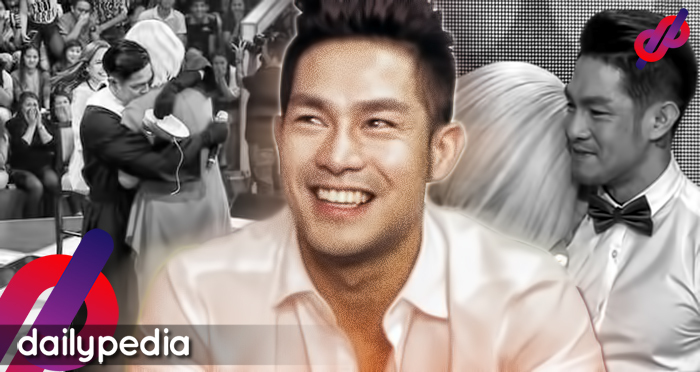 Paloma shared that her father had been very strict ever since she was in elementary. He would always threaten him to quit school whenever she finds it hard to get up in the morning, and she was saddened after hearing from her own parent that she had no chance of winning. However, it didn’t discourage her even the tiniest bit. Instead of moping in the corner, she was even more determined to join and win every contest. And surprisingly, her father began supporting her proudly in everything she does. “Kaya sinalihan ko lahat ng gusto ko at ang epic don, sinuportahan mo ko sa lahat. Nanalo ako sa mga contest, competition, sumali ako, nakihalubilo. At nung magtapos ako ng elementary nakita ko kung gaano ka ka-proud. 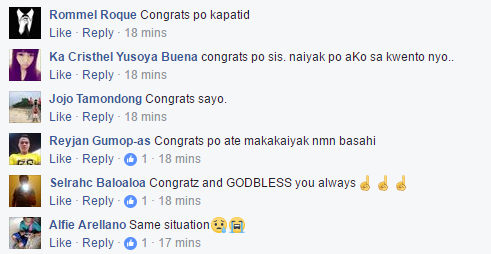 Na sa labing-isang award ko (Top student & competitions) sana man lang kahit isa pinaakyat mo si Nanay. At kahit di man ako naging honor ng Last year ko sa high school mas nadevelop ko ung skills and knowledge ko. Pero kahit high school na di ako sumasama sa fieldtrip kasi nga Gastos lang yon. Paloma made sure that her parents wouldn’t have a hard time with her so she decided to get a job, and took a vocational course instead. “2013, blessing talaga dumating si tito galing ibang bansa. Nakiusap ka na pag aralin nya ko kasi sayang medyo may utak naman. Kaya sa awa ng Ama, Nakapag enroll na ko kahit 2yrs late na (Sa relasyon nga age doesn’t matter, sa Edukasyon pa kaya). At imagine, sa isang kilalang university pa satin. “Bulacan State University”. 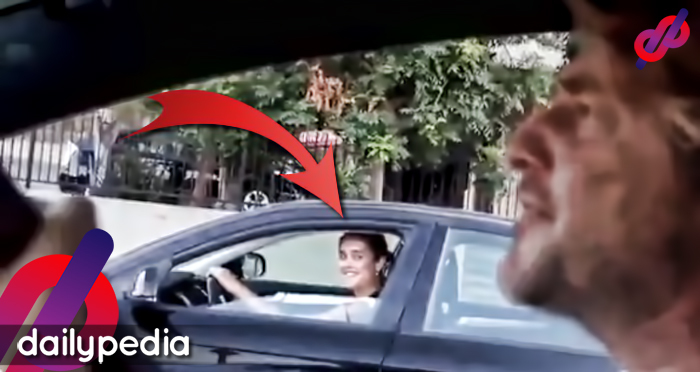 She even strived harder after seeing how his father went extra mile for her. He asked a relative to be a sponsor for her studies as it is such a shame to put her abilities to waste. 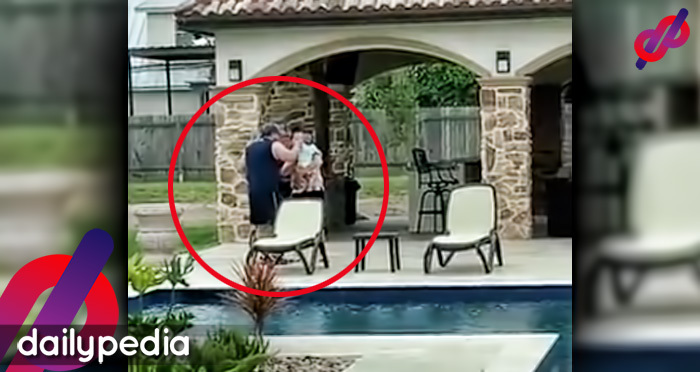 Things were going well until their family faced a life-changing setback. “3rd year college na ko. October 2014, naadmit ka dahil sa panlalata at kulang sa dugo. Pagkalipas ng ilang araw na-diagnosed na meron kang Chronic Kidney Disease 5 at kailangan kang i-dialysis. Sabi mo mag iipon ka kasi gustong gusto mo magpa-transplant. Positive tayong lahat kasi nakikita namin na talagang lumalaban ka. Dumadalas na yung pagka beastmode mo kasi epekto ng sakit mo yon. Hanggang sa lumipas panahon na pumapayat ka na. (Nababawasan na ang kapogian at kamacho-han) Pero tuloy lang, sabi mo nga malakas ka. Unfortunately, her father was diagnosed with Chronic Kidney Disease – which requires an organ transplant. But since it was a hard time for their family back then, they could only afford to give him dialysis as a treatment. On the other hand, Paloma’s dad fought as much as he can to win over his illness. Ibig sabihin konting konti na lang mahahatid mo na ulit ako sa stage o masasamahan akong maglakad sa processional, sabi mo Sana maganda kondisyon mo non para ikaw sasama sakin. 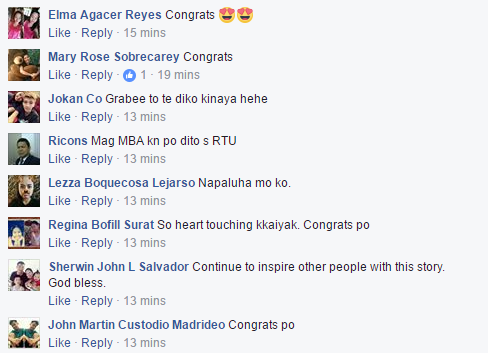 At hindi mo alam na sa twing sasamba tayo pinapanalangin ko na sana umabot ka sa graduation ko kasi alam ko nanghihina at hirap na hirap ka na. Kinailangan ng mangibang bansa ni kuya na syang full time kasama mo at umaalalay sayo katulong ni nanay. Kasabay ng pagkakaroon ng mabibigat na problema ng pamilya. Nakita ko na bawat araw na dumadaan unti unti ka nang nanghihina na halos di ka na makatayo at kumakain. 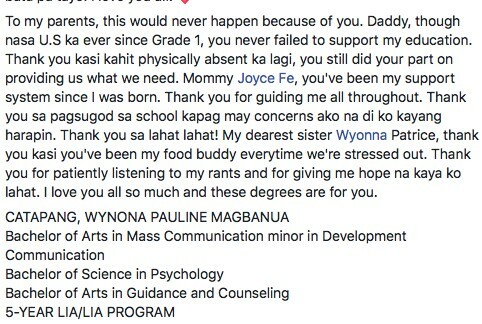 Nung panahon na yon Daddy tanggap ko na anumang oras iiwan mo na kami pero sabi ko pa rin sayo “Daddy antayin mo yung graduation ko” diba sabi mo Oo. He tried to survive because he also wanted to see his precious daughter on stage, receiving her diploma as a symbol of her success. Unfortunately, he passed away a few months before her graduation. “Kaya sana sa Tuesday (June 13,2017) samahan mo pa rin ako sa paglalakad ko. Ikaw pa rin ang pinakapoging Guardian don. Literal na Guardian Angel kita. Daddy para sayo to, Ga-graduate na yung bunso mo. I love you at miss na miss na kita. I hope you’re proud of me. Lesson Learned: Sa bawat pagsabi mo ng “Sige wag ka nang pumasok, Wag ka nang mag-aral”. 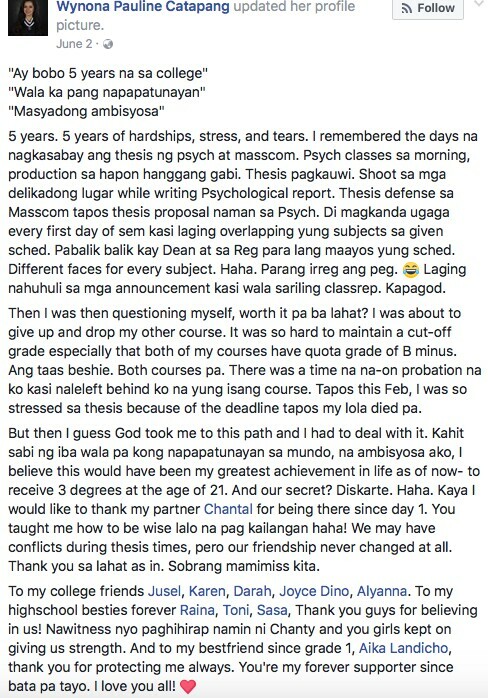 Naging inspirasyon ko yon para mas mag-pursige ako at alam kong ang ibig sabihin non ay wala akong mararating kung di ako magsisikap mag-aral. Kaya thank you daddy, salamat sa lahat ng aral at sakripisyo mo para samin. Alam ko na masaya ka para sakin at di mo ko pababayaan sa lahat ng oras. Mahal na mahal kita! Even though Paloma’s father had passed away, she knew that he’s still around, protecting their family at all times. She thanked him for all the sacrifices that he had done for their family and for the life lessons he gave her that motivated her to do well in school. 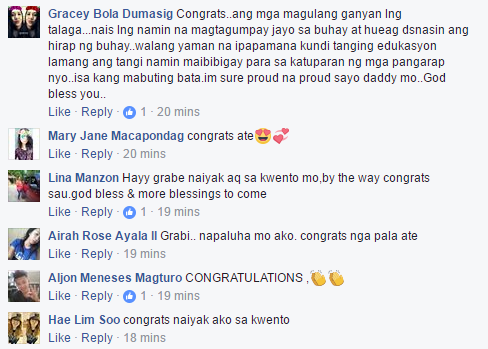 Meanwhile, the netizens who had read her post were teary-eyed because of how she showed her gratitude to her ever-supportive father. As parents would always say, education is the most precious thing that they can give to their children. Therefore, children should strive harder in everything that they do to make their parents feel that their efforts are not being put to waste. Moreover, they should never forget to show our appreciation and gratitude for all the sacrifices they had done for them. What are your thoughts on this matter? How do you show your appreciation to your father?